I’ve experienced a lot over the past three decades in the sport of natural bodybuilding. I’ve had some great training sessions, attained PRS, made good progress and I’ve competed as a natural pro since 2011. I’m extremely proud of what I have accomplished as an athlete, but I’m most proud of my longevity. 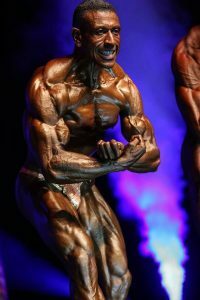 Speaking as a 45 year old, I know longevity isn’t something many younger bodybuilders think about (I know I didn’t) but, it should be if you want a long and successful run in this sport. Many of our great champions reach their primes only once they are well into their 30’s, 40’s and in some cases, even into their 50’s (right Mr. Johnson?). So, it’s important we fully understand great development and muscle maturity in the sport of natural bodybuilding takes time. For many of us, we start our journey extremely motivated and sometimes so obsessed with quick progress that it becomes a double-edged sword. On one side of the sword, we need fire and passion to reach our goals, but the other side if this fire and passion is misplaced, it can lead to negative consequences. If we’re overly eager, especially in the weight room, and we’re too focused on the present without giving much thought to the future, ironically we can end up slowing down our progress in the long run. Why do I say this you might ask? Far too often I’ve seen misguided motivation lead to unwanted injuries. Injuries, which result in loss of training time or sometimes even ending bodybuilding careers. Psychologically, insecurity can also come into play when we want or expect progress to come faster than what is truly reasonable. This insecurity can lead to disappointment, discouragement, unhappiness and potentially can result in a bodybuilder calling it quits. For these reasons, I feel it’s important to embrace, accept and prioritize longevity early on so you’re increasing the likelihood for a long, successful and most importantly enjoyable journey. Below are my five personal keys that have produced my longevity. Let’s be real and understand that gaining muscle as a natural bodybuilder is like watching paint dry or grass grow. I don’t mean to sound discouraging, I’m just being a realist. It’s a process that takes a long time to see good, quality results, so mastering patience is crucial in mastering longevity. If you’re patient and don’t get ahead of yourself you’ll be more in control of not just the physical part of the journey, but more importantly the mental side which brings more enjoyment and prevents burnout. Whether its gaining muscle or shredding down for shows, if the process is done patiently with plenty of time it allows for a much more serene environment to work in. How many times have you seen or even experienced an injury that occurred because of ego? You know the guy bench pressing 350lbs with the spotter behind him doing upright rows. Or the infamous guy with 1,000lbs on the leg press only doing ¼ range of motion. I’m sure you’ve also seen the guy who is ¼ squatting 500lbs! I think you get my point and often the culprit is the ego driven by the desire for fast progress. What I’ve learned over the years is that you end up going faster in the long run when you go slower; ala the tortoise and the hare. I’ll admit I was “that guy” some time ago and in my early 20’s I was really loose with form. I recall a lift session where I was throwing around 100lb dbs on incline chest press only to have a gentleman in his mid-40’s (about my age now) next to me offer up some unsolicited advice. Not in his exact words, but in a nutshell he said, “Man, you need to lower the weight and work on your form otherwise you’re going to be like me at my age. My shoulders are so bad, I only have ¼ the range of motion. I don’t want to see you end up like me when you’re my age.” Of course, being in my early 20’s, having good development (not great), and with an approach dictated by my ego, I simply wasn’t mature enough to accept his sound advice. I wasn’t rude to him, but in my head, I blew him off. What’s fascinating to me is that I’m in that gentleman’s position now, preaching the exact same advice to others, that he gave me. Lift with timeless form for optimal development and to reduce the risk for aches, pains and injuries. I wish I could go back in time, put my ego aside, be humble, accept his advice and shake his hand. It would have saved me a lot of heartache over the years. If you’re reading this Mr. Gentleman, I’m sorry I blew you off and thank you. Having good development is not the best indicator of knowledge. What is timeless form? Timeless form means you’re using loads that are manageable without the need to rely on excessive momentum or body English to complete the lift. I’m not suggesting you should be a form Nazi, but your form should effectively train the targeted muscles and help prevent aches, pains and injuries. Of course, when you lift heavy weight there will always be risk. Risk is an unavoidable part of the game, but if you ensure you are lifting with timeless form you’re making the best effort you can to improve longevity. I also want to point out that timeless form should not be confused with training soft or holding back as that’s not what I’m saying. Rather, the goal is to lift as heavy as possibly while staying in total control to ensure optimal progress is made in strength and muscle development while minimizing injury risk. I feel rest and recovery is just as important as the training itself. Like I mentioned earlier in this article, many younger bodybuilders are so eager for progress to a fault. Ego and insecurity can lead to pushing harder and harder and doing more and more to the point where it halts progress or puts you on the sidelines. Our inner voice tells us not to be soft, so we carelessly push on when in fact we probably need some rest and recovery. Far too often I’ve seen athletes who bit off more than they could chew only to lose valuable time and progress because of their ego and insecurity. It takes discipline to train and to follow a diet, but arguably it takes even more discipline to take your scheduled rest days, deloads and even unscheduled rest days when needed, to ensure you’re progressing and taking care of your body over the long haul. Just like cars need oil changes, you need rest and recovery. If you choose to ignore your engine’s mileage and drive quickly past the oil change facility, sure you might get to Chipotle faster (my attempt at a joke), but at the same time you’re risking a breakdown. More importantly you’re probably not going to get the same amount of life out of your car if you would have stopped every 3,000 miles and taken care of your engine. Like a well-tuned car that gets 300,000 miles of use, you want to get the same type of mileage out of your career. Probably the most important key for my longevity is my enjoyment. If you’re enjoying what you’re doing, chances are you’ll keep doing it. In this era of natural bodybuilding where science plays a huge role in our decision making, it’s easy to get caught up in what is “optimal” or in the minutia. It’s common to fall prey to “paralysis by analysis”; over thinking everything to the point where progress freezes and there is a loss of enjoyment. Of course we want to understand the science behind the sport so we can improve our approach over time. But, in my opinion if a change to your approach sacrifices your enjoyment, it won’t be optimal in the long run. I’ve been in this sport for 31 years and I’ve been far from optimal at times, but what I’ve always done well is finding a sustainable approach. I truly believe I’m still going strong because I’ve found more love in the process than in the progress. Over the many years the process has seen many faces for me and I’ve made a lot of mistakes, but it’s hard for me to think of a time where I truly wasn’t enjoying myself. Even now in my 31st year of training I still don’t know what optimal is and you would think I should know by now! In fact, more than likely I will never know what optimal is for me (will any of us really? ), but what I do know is I love trying to find out what is. Those are my five personal keys to a long and successful career. In closing, and I mean this in the humblest way possible, I hope that in 20 years at least one of you will come and shake my hand, just like I should have with that gentleman in the gym so long ago. All the best on a long and successful journey! Incredible article! In my opinion, this should be at the door of every gym. Thanks Jeff for sharing your vast knowledge and years of experience. Miguel more than welcome and thanks so much! Glad you enjoyed the article! Justin really appreciate that! Thank you! Nice read – very informative! Thanks Jeff! Great article coach! Definitely looking forward to staying in the game for decades coming. Started out when I was 16, I’m 21 now and enjoying lifting just like the first day. Amazing words of wisdom. I’m 22 and you probably saved me from a future rotator cuff injury or two! I’ve been especially focusing on 2 and 4; it’s incredible how properly scheduled deloads can skyrocket progress! as a bodybuilder these are some great tips on how to avoid injury thanks for the article. Great read, well put, and all excellent points. Thanks to you and all of 3DMJ for everything you do. The consistent, positive work you all put out is greatly apprecciated. 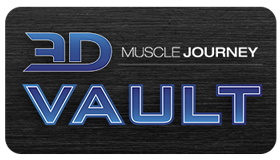 Now to schedule an overdue deload….